Not only did they collect lots of mail art from what looks like (without counting) more than 125 mail artists. 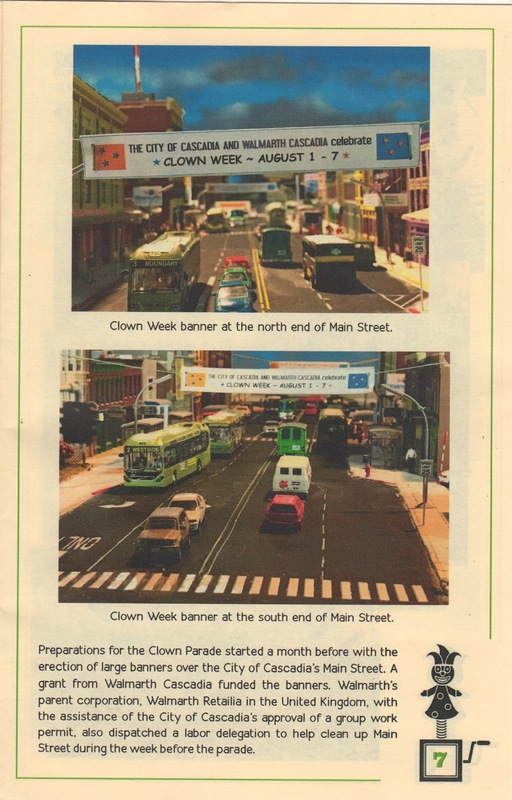 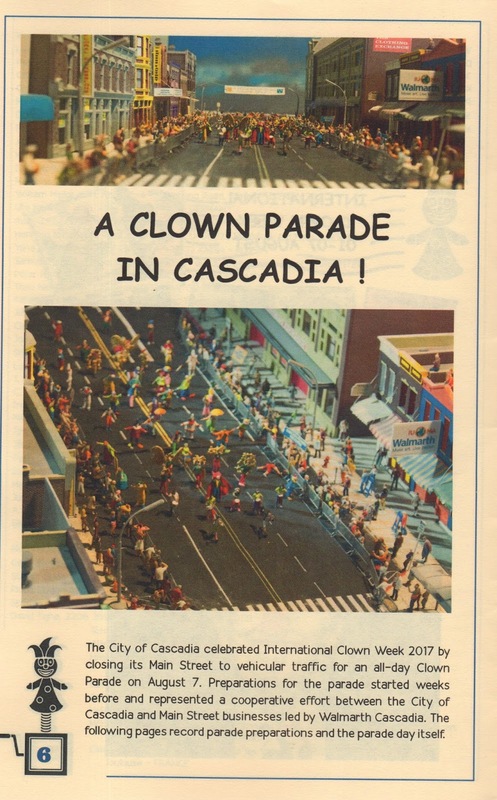 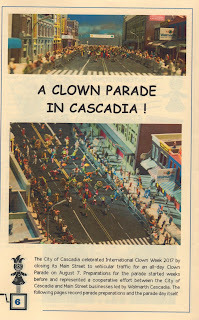 By sending my clown in, I got a fancy booklet with everyone's names and addresses as well as a history of the project and a visual snapshot of life in the tiny town of Cascadia - 'a near-future representation of small city in Cascadia 1:87'. Two of the nine pages included below). Great project and fabulous documentation. 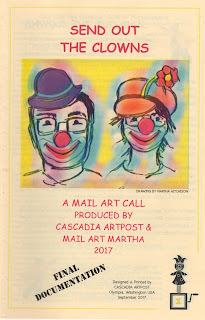 Thank you Mail Art Martha and Cascadia Artpost! 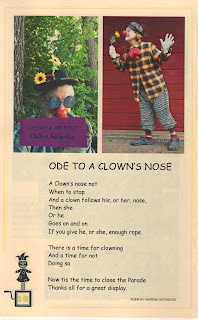 Rebecca so grateful for your glowing report.It is a documentation in itself.